The six points of the 10th place Nakagami added as the only driver of the Japanese firm that finished the race are the lowest spoils in a race since 1982. The data is from Dennis Noyes, authentic bible of motorcycling. The 2019 US Grand Prix played in Austin is the worst result of the Japanese manufacturer at the time of the four times. The Japanese Nakagami was tenth in Austin and was the only one who added for the signing of the 'Golden Wing'. MotoGP was born in 2002 and since then the worst result of Honda was shared by three great prizes: Australia 2018, Malaysia 2016 and Donington 2008 In them, the best pilot of the Japanese firm was eighth, respectively Franco Morbidelli, Jack Miller and Dani Pedrosa. However, the disaster of Honda in Texas is even more historic since Nakagami's six points as the only driver, of the four participants, who scored the mark is the lowest score in a race of the queen category since ... 1982. The GP of France, played in Nogaro, was a total zero for Honda ... since they did not run in protest of the poor condition of the asphalt galo. In the previous race, in Austria they had added only two points but with a ninth place in Katayama. What happens is that at that time only the top ten scored. 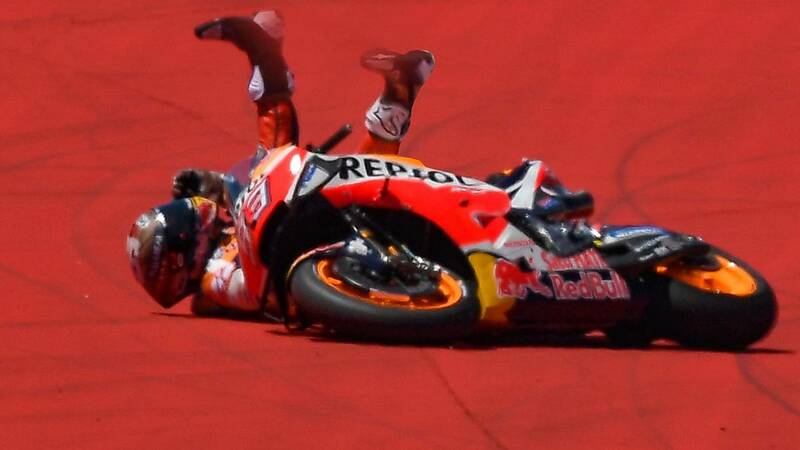 It is sure that in the Jerez-Ángel grandson, next appointment of the World Cup, Márquez, Lorenzo and Crutchlow will try to get rid of the thorn of the zero of Austin.